J.T.’s Discount Verticals the leader in FULL SERVICE window treatment sales & installations. Providing quality Solar Shades to the Staten Island, NY area. 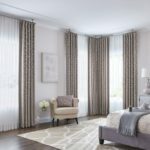 With our FREE shop-at-home service we bring a complete window treatment showroom direct to you, which allows you to choose from 100’s of samples from a wide variety of the most popular and stylish manufacturers right from the comfort of your own home, apartment or office in Staten Island. Solar shades are a type of roller shade that uses fabric panels and wraps around a roller at the top when opened. There are three valance options available for solar shades, and are available in many styles of wooden cornices. For a modern, streamlined look, a square aluminum fascia can be used to cover the roller and brackets. For a complete look, the fascia could be wrapped with a matching fabric. A third valance option for solar shades is the cassette. The cassette is round and covers the roller and brackets. It has a fabric insert. The fascia and cassette are available in a variety of colors and styles. There are different types of lift systems to choose from, depending on your needs. The cordless types are child-safe and available as motorized or manual systems. These types eliminate the strangulation hazard that exists with systems that use cords and chains. They’re modern, classy and offer a clean, uncluttered appearance and are perfect for you place in Staten Island. Not only do solar shades offer a streamlined, sophisticated look, they are also eco-friendly. They help to reduce harmful UV rays that often damage the interior walls, floors and furniture. They decrease temperature transference to help keep your home cooler inside in the summer and warmer in the winter. This helps to reduce your overall energy consumption and save you money! Solar shades also block glare, which helps for those rooms where you have TVs, computers or other electronic display devices. Visibility from the exterior of the home is as clear as it is from the inside, especially at night with interior lights. If privacy is a concern, you want to select those with lower openness percentage. You can combine solar shades with drapes or curtains to increase your privacy and visibility from outside. Solar shades are modern, economical and look great. Solar Shades look beautiful in any room. They save money on energy costs and provide a more comfortable environment in rooms and areas of your home, office or apartment that receive direct sunlight. 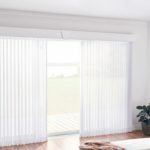 StatenIslandBlinds.com offers a huge selection of solar shades in Staten Island NY that come complete with FREE home shopping, FREE measurements and FREE installation. Serving Staten Island NY for more than 30 Years we have the selection, price and service to make you choice of window coverings one that will make your home comfortable at a price and convenience not offered by online catalogs or big box retailers.